Russian billionaire Roman Abramovich, who paid $14 million last month for a minority stake in the British hydrogen fuel cell manufacturer AFC Energy, is reportedly interested in its Australian partner, Linc Energy, which operates underground coal gasification facilities to manufacture synthetic oil products. 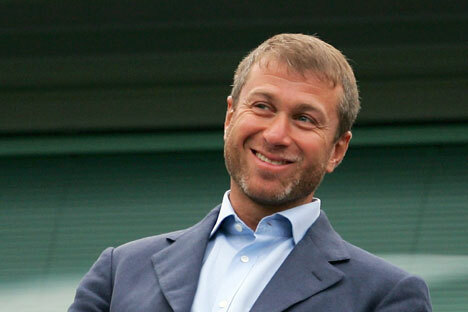 According to Australian media reports, Abramovich has met with the company’s CEO and toured its production facilities. Russian billionaire Roman Abramovich. Source: Getty Images / Photobank. The Australian Financial Review reported on Abramovich’s interest in the underground coal gasification operator, citing Australian mining industry sources. According to the paper, Abramovich flew to Australia to meet with Linc Energy CEO Peter Bond. Underground coal gasification (UCG) is a relatively established industrial process which converts coal into gas via pyrolysis directly in coal seams, rather than in a reactor. The gas produced can be used as fuel for power generation or as chemical feedstock for the Fischer–Tropsch gas-to-liquids (GTL) process, which produces liquid synthetic fuels. These fuels have the key advantage of being almost completely free of contaminants, resulting in high quality and low emissions when burned. Linc Energy owns and operates both a facility in Queensland with several underground coal gas generators and a GTL pilot plant with an annual capacity of around 250 tons of synthetic oil products – mostly diesel fuel and aircraft kerosene. Linc Energy also plans to build a 20,000-barrels-per-day (around 1 million tons per year) gas-to-liquid plant and a 200-megawatt synthesis gas-fired thermal power plant to supply electricity to the wholesale market. Linc Energy also owns one of the world’s oldest UCG plants in Angren, Uzbekistan. It was established in 1961 as part of the Soviet Podzemgaz project and has been in continuous operation since, producing synthesized gas used as fuel for the Angren Thermal Power Plant. The Soviet Union was the first to make the UCG process industrially viable: it had five plants operating at the peak of its use, all of which (except the Angren) have been shut down since, because the technology proved to be non-competitive compared to natural gas production. Interest in coal-to-gas conversion technology has seen a recent revival however, especially in industrial nations with scarce oil and gas reserves and primarily in China. Neither Linc Energy nor Roman Abramovich’s Millhouse would confirm or deny the reports of his visit to Australia, but the Australian company’s shares went up 6 percent on the back of the news. Linc Energy did announce on its website that its facility plans to use hydrogen fuel cells made by AFC Energy – 15 percent of which Abramovich bought in October.